"Theodosius Dobzhansky". Embryo Project Encyclopedia (1928). ISSN: 1940-5030 http://embryo.asu.edu/handle/10776/2937. Licensed as Creative Commons Attribution-NonCommercial-Share Alike 3.0 Unported. In 1917, amidst the turmoil of the Russian Revolution, a bug-obsessed teenager in Kiev discovered a new species of ladybird beetle in the debris washed up on the banks of the flooding Dnieper River. The following year, he described the species in his first scientific publication. That 18-year old ladybug spotter —Theodosius Dobzhansky— would go on to publish nearly 600 more papers, not just describing species, but exploring what a species is, and how they evolve. In the process, he would establish the paradigm for modern evolutionary biology. In the latest issue of GENETICS, Jerry Coyne introduces Dobzhansky’s 1936 article on the genetics of hybrid sterility in Drosophila as one of the journal’s 100th anniversary Classics. Dobzhansky’s beetle-collecting hobby morphed into a promising career in entomology, which provided plenty of opportunities for expeditions to remote regions. He was eventually inspired to branch out into genetics after reading reports from Thomas Hunt Morgan and the pioneering geneticists crammed into Morgan’s famous “Fly Room” at Columbia University. In 1927, Dobzhansky traveled to the United States to join Morgan’s hive of fruit fly wranglers. Staying on with the group through their move to Caltech in 1928, Dobzhansky soon fulfilled his mission of becoming a “splendid Morganoid” by isolating mutants, mapping genes, and studying the mechanics of heredity. But Dobzhansky’s bent towards natural history soon resurfaced. He had been immersed in evolution and population variation since his pre-Drosophila field biology days, which had centered around understanding how a species becomes divided into geographic “races”. Dobzhansky became interested in genetics, he would later say, primarily as a means to understand evolution. At that time, the field of population genetics had just come into existence. The work of Ronald Fisher, Sewall Wright, and J. B. S. Haldane had shown how Mendelian genetics could be formally united with Darwinian evolution by natural selection. But the first population geneticists described a theoretical framework, not an experimental one; they presented arguments supported mainly by equations. No matter how well reasoned these arguments, this new field lacked tangible evidence from real world populations; the wider community of biologists needed results they could sink their teeth into. Dobzhansky used his training in cutting-edge genetic analysis to fill this gap and to approach a problem barely addressed by Fisher, Wright, and Haldane: how does one species become two or more? Dobzhansky recognized a unique opportunity for studying speciation using “Race A” and “Race B” of Drosophila pseudoobscura (later reclassified as D. pseudoobscura and D. persimilis). Other Drosophila species were dead-ends for such studies because they produced only sterile hybrids when crossed. In contrast, while male hybrids of Race A and B were sterile, the females were fertile. Dobzhansky’s 1936 paper used these fertile hybrid females to establish that the causes of hybrid sterility were located on chromosomes (still a matter of debate at the time) and were found at multiple locations across the genome. Eighty years later, his hypothesis on how hybrid sterility can arise in the face of natural selection is still current. The year this work was published, Dobzhansky also delivered a lecture series that marked the birth of the “Modern Synthesis” of evolutionary biology. Published in 1937 as Genetics and the Origin of Species,” the manifesto wove together disparate threads of twentieth century biology into a unified vision of evolution that was profoundly influential, catapulting population thinking to the forefront of biology. Leading evolutionary biologist Ernst Mayr called its arrival “clearly the most decisive event in the history of evolutionary biology since the publication of the Origin of Species in 1859.” Dobzhansky’s book also helped establish the field of empirical population genetics, with his D. pseudoobscura work demonstrating how questions of evolution could be fruitfully addressed in the field and the lab. 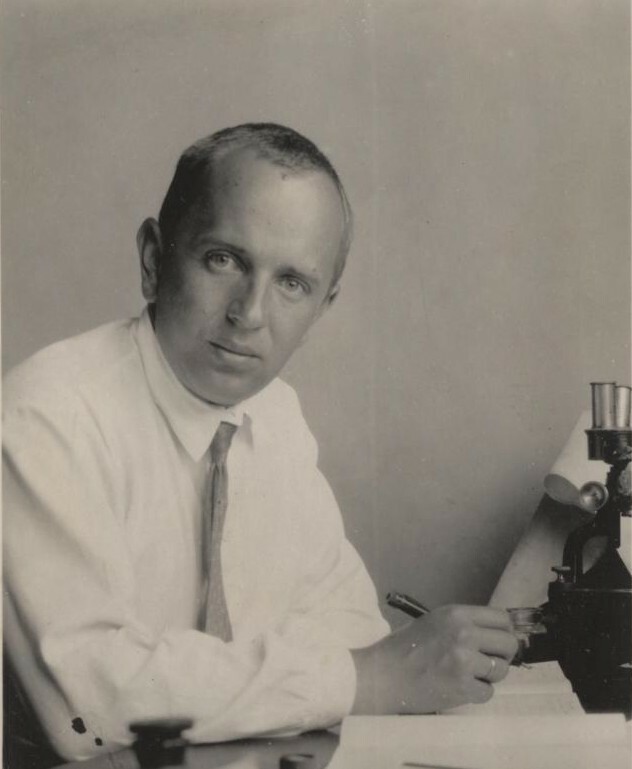 Dobzhansky would also eventually expand his “Genetics of natural populations” series (of which the 1936 paper was the second installment) to a mammoth 43 papers, cementing his experimental program and setting the agenda for generations of empirical population geneticists. He spent many years with his students and collaborators in the field collecting flies to explore their evolutionary and genetic dynamics. 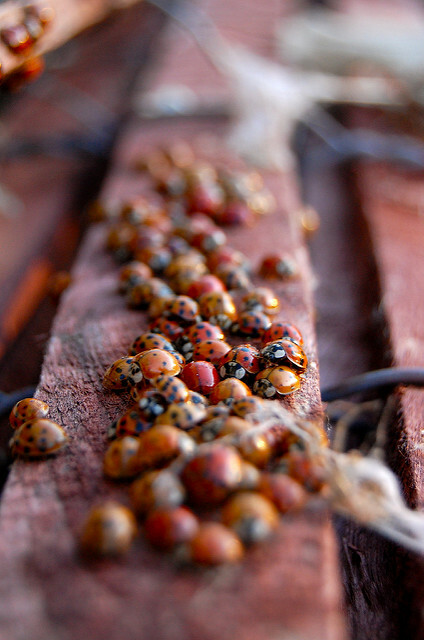 He also retained a lifelong affection for ladybugs. Read more on Dobzhansky 1936 in Coyne’s introduction and Allen Orr’s 1996 Perspectives article. Read more on Genetics and the Origin of Species in Jeffrey Powell’s 1987 Perspectives article. Read more on the influence of Dobzhansky’s early years in The Evolution of Theodosius Dobzhansky. Read more on 100 years of GENETICS here at Genes to Genomes. Browse the GENETICS Centennial collection at the journal website, with new content each month. Dobzhansky, T. H. (1936). Studies on hybrid sterility. II. Localization of sterility factors in Drosophila pseudoobscura hybrids. Genetics, 21(2), 113. And I’ve never seen a photo of the young, handsome Dobzhansky. I always thing of him as older than … whatever, and I’m 68. I always Idolized him for Mankind Evolving, his small book (coauthored) in the 1950s on the (lack of) biology of human race, and of course fruit fly experiments, etc., etc. He communicated well about complex subjects; a titan who made you feel like you could disagree about elements of his arguments as you were reading. Never met him.